For a middle-aged person living in India, visiting Varanasi at some point in his/her life is almost a given. The reason being the storied history and religious significance of the place as well as the architecture and art that has forever preserved the past her. Touted as one of the holiest cities in India, it has loads of temples and ghats that host endless lines of pilgrims from all over the country. 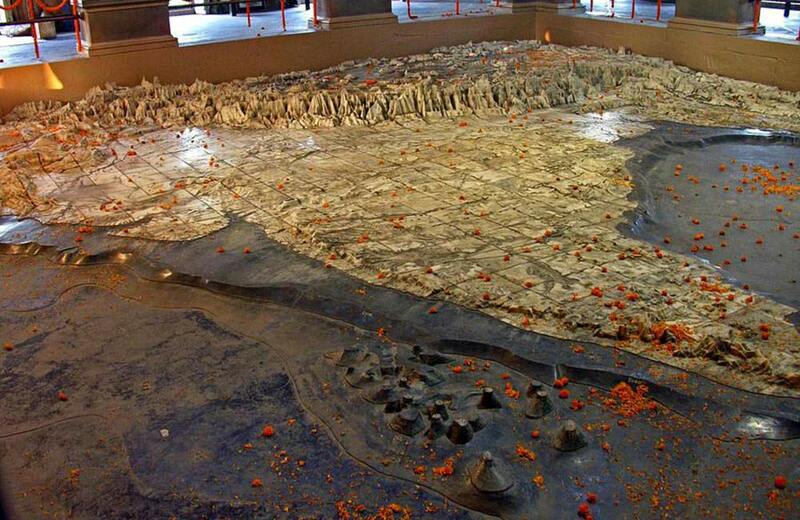 Of course, it only adds to the holiness of the fact that river Ganga passes through Varanasi! There is clearly no shortage of places to visit in Varanasi, and this is just a short list of the top 9 that you should not miss out on if you find yourself in the land of mysticism. 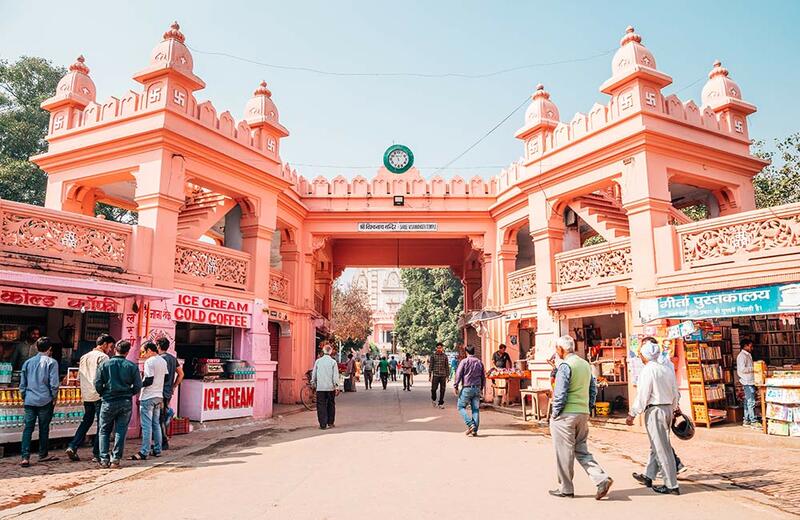 Located inside Banaras Hindu University, this temple has tourists flocking to its doors on a daily basis. 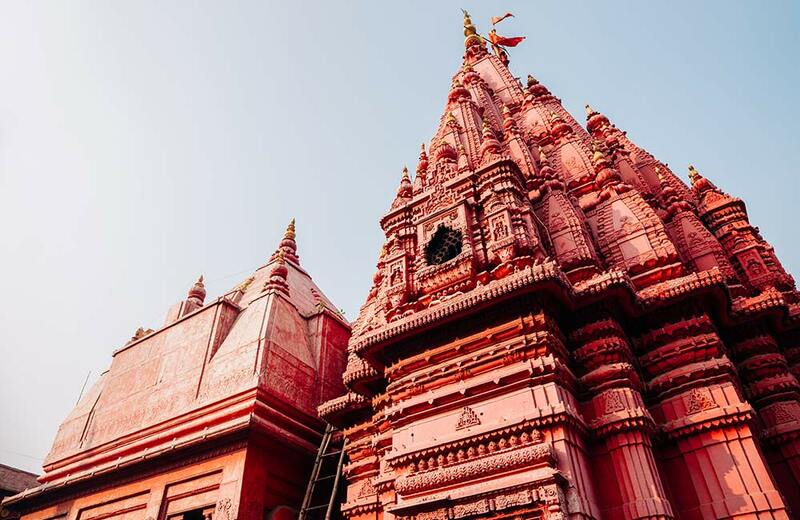 The Birla family that has been a hugely successful group of entrepreneurs in India commissioned its construction, leading locals to call it Birla Temple. A great thing about the temple is that it isn’t just one building, but actually seven separate temples that together make one big religious complex. The legendary old Vishwanath temple is a direct inspiration for the design of this temple. Every wall of it is covered in the utterings of Lord Krishna, when he recited the Bhagwad Gita. One of the most iconic temples in Varanasi, it is a must visit on a trip! Many people see it as the foremost temple to visit in Varanasi, and some consider it the most significant temple in the entire country. Its story is as old as over three thousand and five hundred years, which is an astounding amount of time. So much has happened in and around it that it is hard to not feel overwhelmed when visiting it. 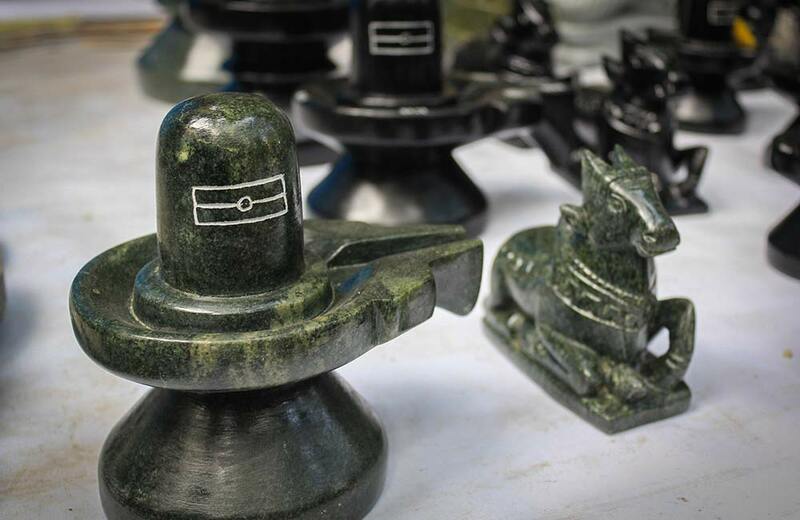 It is one of the 12 Jyotirlingas that are Shivalingas that are the physical symbols of Lord Shiva. The spires and domes of the shrine are completely covered in gold. The then ruler of Punjab, Maharaja Ranjit Singh was responsible for that, as covering temple domes in gold is a Punjabi tradition, as demonstrated in the Golden Temple. Many devotees believe that a single glimpse of the Shivalinga cleanses your soul and puts life on a path of knowledge. Dedicated to Goddess Durga, this temple is a symbol of feminine divinity. The deity present in this temple is believed to have materialised out of thin air and was not made by any man. Another badge of feminism for this temple is that it was actually commissioned by a woman. The Maharani of Bengal was responsible for its making and it was according to her wishes that it was constructed in the Nagara style of architecture. But, the most interesting fact about this temple is perhaps the fact that it is visited by several monkeys every day. In fact, there are so many monkeys here that it is often called ‘Monkey Temple’. So, beware of those mischievous apes when visiting here! Being dedicated to the country itself, it is one of the rarest temples in the country. India is famous for its millions of temples and nationalist spirit, but there are very few places that commemorate the country itself. And since this is such a rare temple, it is visited by almost everyone who comes to Varanasi. Situated within the Mahatma Gandhi Kashi Vidyapith campus, it was inaugurated by Gandhi himself in 1936. It was supposed to be an inspiring beacon of love and hope for all that were fighting against the British. Instead of a statue of a deity that looks like a human, this temple’s statue is that of mountains, plains and oceans. On a list filled with temples, Alamgir mosque stands proudly as a representation of Muslims who have lived here for centuries. Famed for its incredible Islamic architecture, this mosque is unique in the fact that it is located at the banks of the Ganga. It is believed that the Mughal Sultan Aurangzeb who was the great-grandchild of Akbar, constructed it. 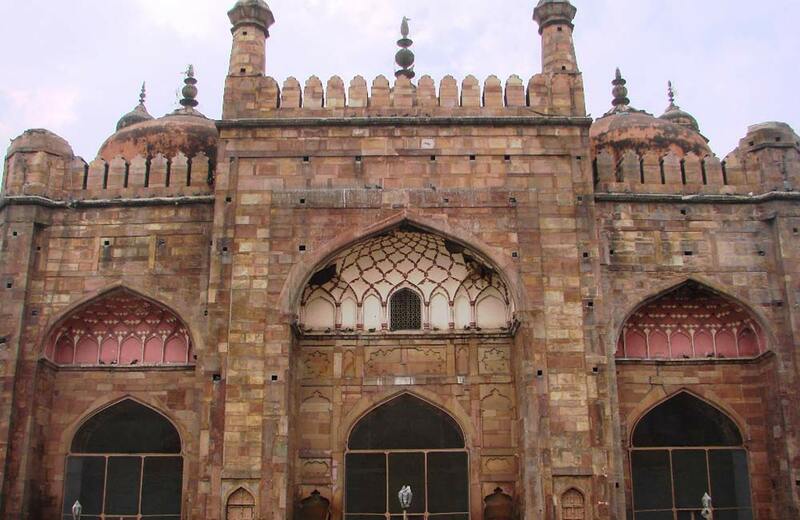 Another name for emperor Aurangzeb was Alamgir, which is why this mosque is called as such. Historically, it has been noted that Aurangzeb was responsible for the demolishment of a temple to construct the mosque. But still, the mosque retained many Hindu influences as can be seen in its unique architecture and art. This particular ghat is believed to be the oldest one in the city, and is hence considered special. If you have seen video footages of people bathing in Ganga and praying with diyas in their hand on the banks of a river, odds are that it was this ghat you saw. It is often abuzz because of the hordes of people who flock to it to wash away their sins and pray. Ascetics, Hindu devotees and tourists alike all alight on the banks of the Ganga at Dashashwamedh Ghat on a daily basis. 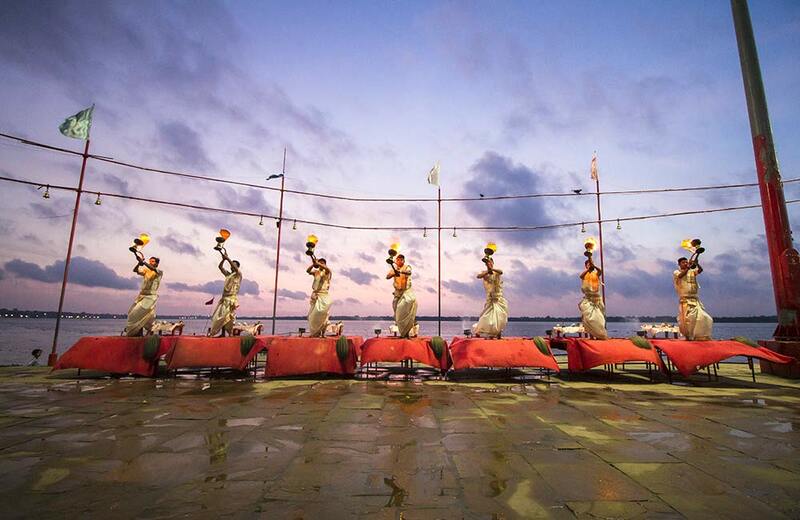 Being such an important landmark and host to the famous Ganga aarti, it is a must-visit on any trip to Varanasi! This ghat is again quite significant among Hindus as it is the main cremation ghat in the city. People who have died often get cremated here, in the belief that they attain moksha. There is a myth that says Devi Parvati’s ear ornament fell at the exact spot of this ghat when Lord Shiva came here with her. Although the atmosphere is rather grim here most days, it is still a very historical place to visit if you are in Varanasi. 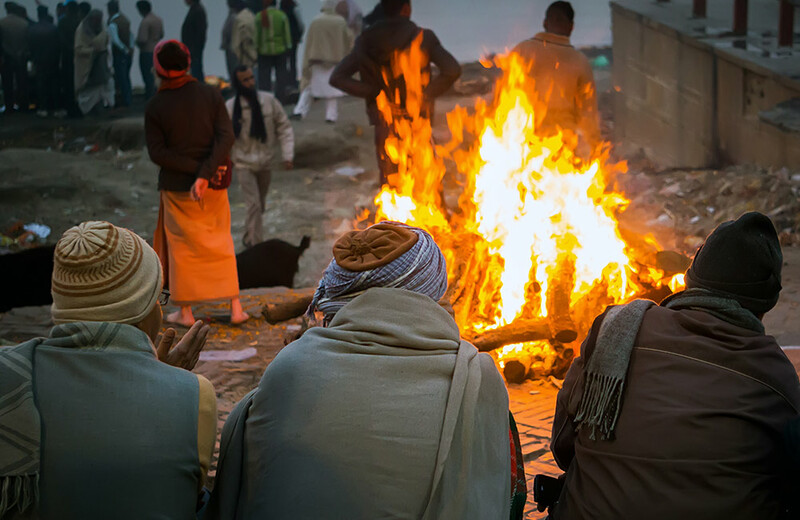 Also, referred to as the burning ghat, it is certainly an important part of Varanasi, just as death is to life! Assi Ghat is believed to be the place where the legendary poet Tulsidas passed away. The southernmost ghat in the region, it is among the most popular with tourists. On an average day about 300 people visit it per hour, but during festival days that number can be as high as 2500 people. When here, you can go on a leisurely boat ride on the river or even a hot air balloon excursion! Devotees bathe here before conducting rituals as the water of the river is said to purity their soul, preparing them for the task. 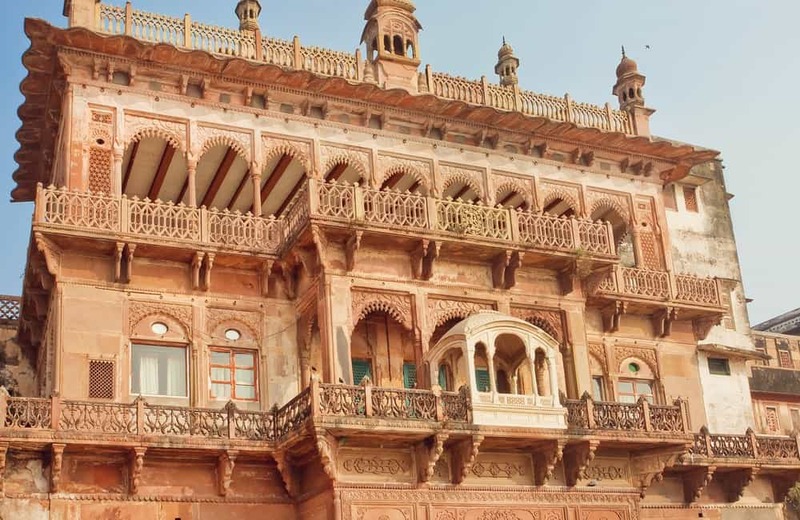 It was commissioned to by Raja Man Singh in the early 1600s. He had a large stone balcony built on the northern corner of the ghat so he could sit there and enjoy the serenity. Compared to other ghats, this ghat has a lower footfall which makes it an excellent place to spend a day at. Located just north of Dashashwamedh ghat, it is a great spot for observing the Ganga flow peacefully. Another great reason to visit this ghat is its closeness to several prominent temples, so you can cover numerous places in one go. Some of the closest temples are Someshwar Temple, Rameshwar Temple and Sthuladanta Vinayaka. Timings: Open throughout the day. The name of this well means the well of wisdom, which is exactly what is believed about the water of this well. It is said to possess wisdom in its water and people who drink from it are benefited by it. 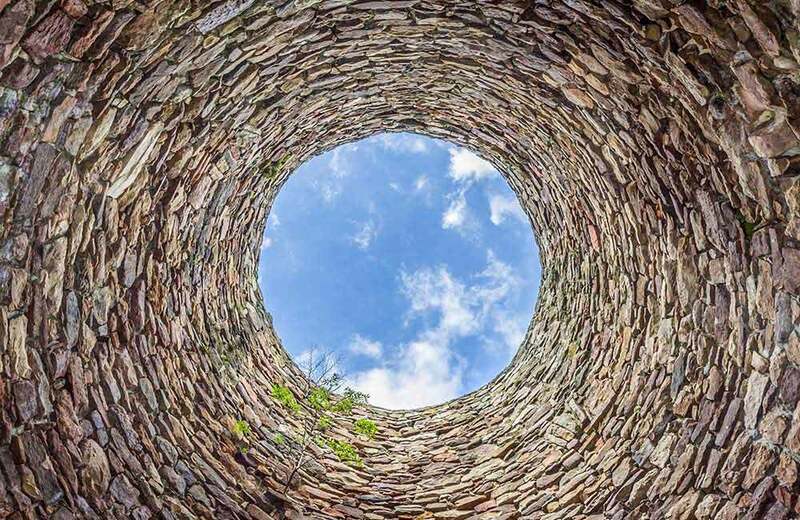 Whether you are superstitious or not, there is some interesting history regarding this legendary well. It is believed that the Jyotirlinga that was removed from the old Kashi Vishwanath Temple that Mughal emperor Aurangzeb destroyed is at the bottom of this well. It has been there since the 17th century when the old temple was demolished to build the mosque adjacent to the well. Apart from the mythical aspect of this place, the architecture and art expressed in its construction also make it worth visiting! 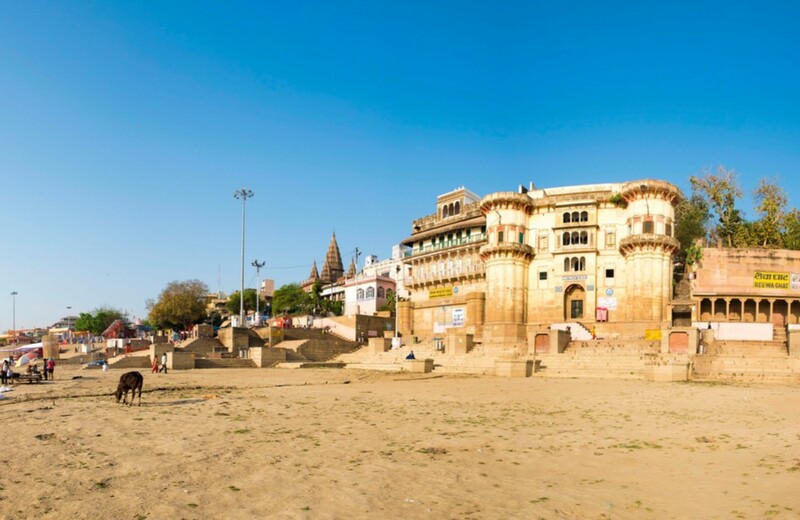 Located across the Ganga River from Tulsi Ghat, it was built out of sandstone in AD 1750 on the orders of Raja Balwant Singh, the king of Banaras at the time. He and his descendants have lived in that fort for centuries now. In 1971, the position of an official king was abolished by the government, but still Pelu Bhiru Singh, is commonly referred to as the Maharaja of Varanasi. Even though it was built by Hindu kings, it is a testament to the diversity of the region that it was built in the Mughal architectural style. It houses Veda Vyasa Temple, the king’s living quarters, and a museum dedicated to regional history. 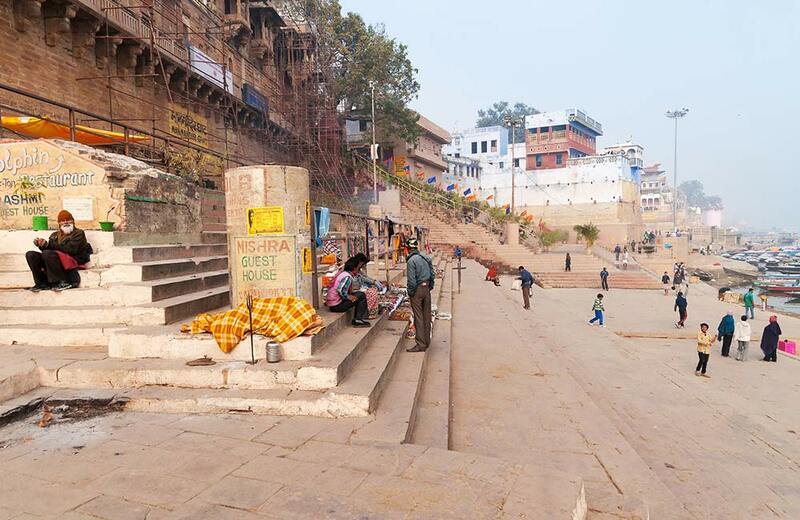 As far as hallowed ground goes, Varanasi is one of the most significant in India. And that’s saying a lot, with India being dotted with temples and holy places. Hindu mythology has spanned the course of several millennia, and for any place to be considered as holy as Varanasi, there has to be ample history attached to it. There is no shortage of tourist places in Varanasi map, which makes it more than worth a visit if you are interested in the culture, tradition, art, and history of India! So, the next time you book a hotel in Varanasi, you know what attractions to visit.